Commercial moves in Pensacola are both exciting opportunities and enormous undertakings, but there are definitely some effective tips and tricks that make moving from one office to another a seamless transition. As long as you have the assistance of a moving company and all of your staff are on board with the move, you’ll be able to transfer your business operations from one location to another with relative ease. Office moves can last up to 12 months from start to finish, and to make sure that everything goes according to plan, you must create a tentative schedule detailing each step in the process. To ensure that you’re ready to go on moving day, work backwards from the moving deadline to the initial planning phase. Many businesses decide to form moving committees once the moving decision has been confirmed. Involving key staff members in the moving process is a good idea because the moving responsibilities can be delegated across the committee. Tasks can be assigned regarding planning, packing, unpacking, organizing, designing, and decorating. Make sure that the members you’ve chosen want to be included in the committee so that they’re eager to make the move a success. During the planning of your move, you’ll need to announce the move to your employees and customers. If business as usual will be halted for a while, your clients will need to know so they can plan ahead. You can create a detailed newsletter and send it via e-mail. Make employees aware of the moving time line and how they will be affected by the change. You’ll want to include information regarding the new office name and address and attractive features of the new office building. Maintain open communication with employees as the moving date draws closer. 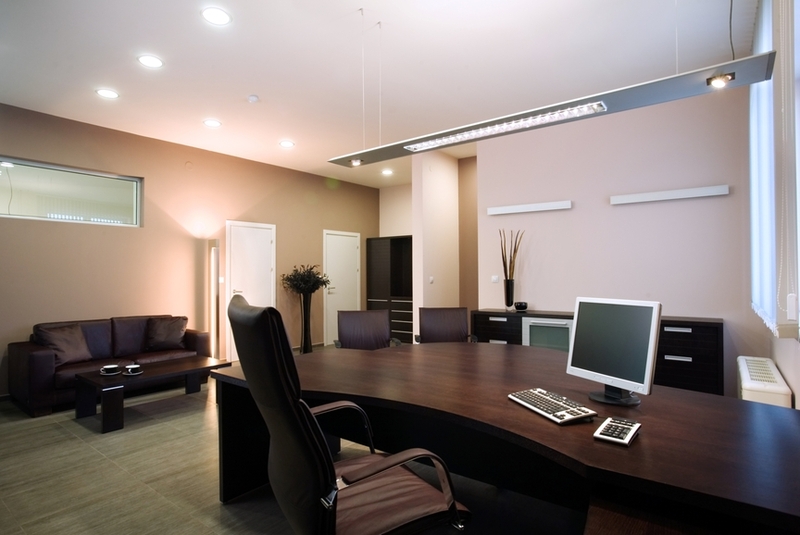 Your moving committee will be essential when you’re planning the layout of your new office. Ensuring that everyone has a designated space in the new office requires extensive organizational and strategic planning skills. Keep the floor plan and square footage of the new office building in mind as you formulate new seating arrangements for your staff. The layout is also important because your moving company will need to know where to place boxes and furnishings on moving day. Your staff may be capable of moving all of your office equipment and furnishings to your new commercial building but hiring a moving company will alleviate the stress of your employees significantly. By hiring a moving company, you don’t have to plan the logistics of getting boxes from one location to another because the professional movers will do that for you. Many moving companies also offer packing services, which provide additional moving support. Once you’ve moved the last box into your new Pensacola office, take some time to celebrate your move. Plan a party during your first few weeks in the new office, let your employees get acclimated to the new space, and curate an atmosphere that encourages innovative thinking and productivity. Contact an experienced moving company with experience in commercial moves like Coastal Moving and Storage to make your dream of moving into a new office or commercial building a reality. If you’re looking for local moving services in Pensacola, then please call 850-433-8308, or complete our online request form.